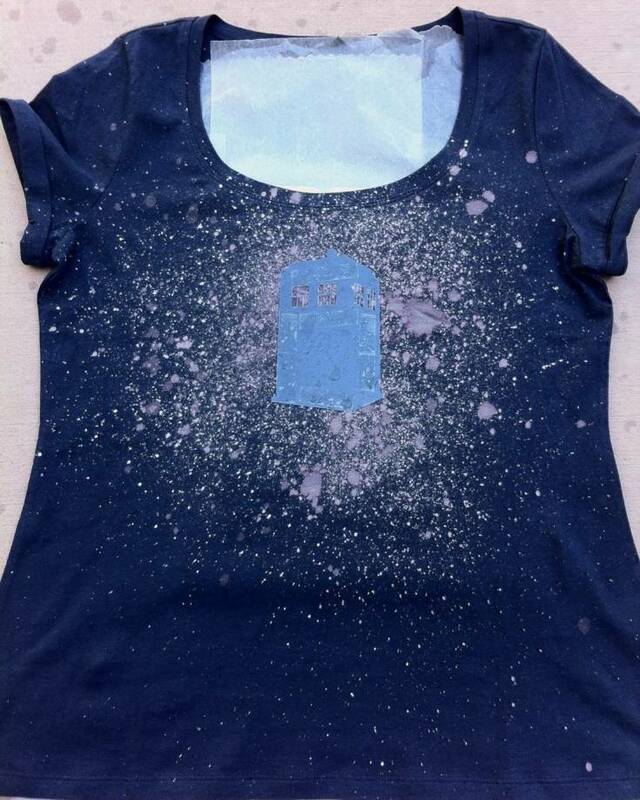 Now, add this new addition to your wardrobe with this simple DIY project, practical application, and iconic imagery. 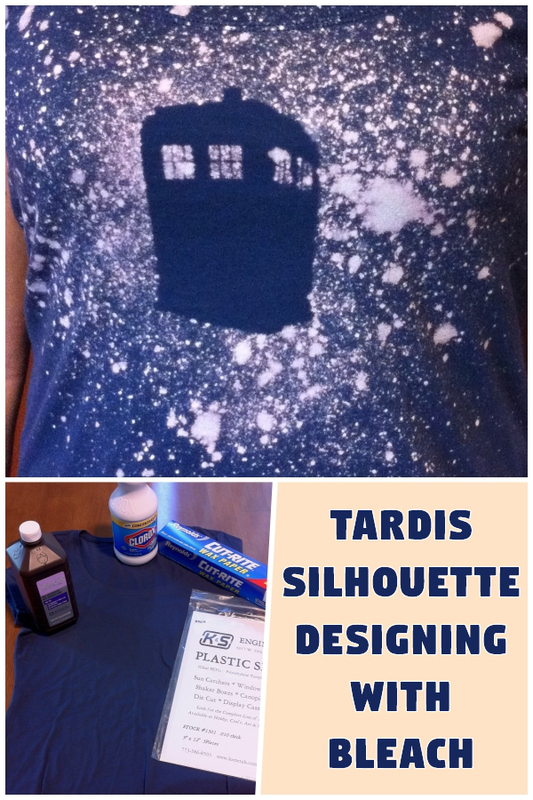 You are sure to enjoy and admire this creative Tardis Silhouette that is designed with bleach. The Tardis is the beauty of these huge images inspired to produce a ‘star-field.’ Tardis on the and this procedure can be used to highlight any shape that you have selected. It is advisable to buy a cheap shirt when you are experimenting, but if you are confident enough, then it is suggestible to buy something that you can wear. Now, with this DIY project, you can make the best shirt in the world. So, get a shirt that fits you perfectly so that your efforts wouldn’t get wasted. 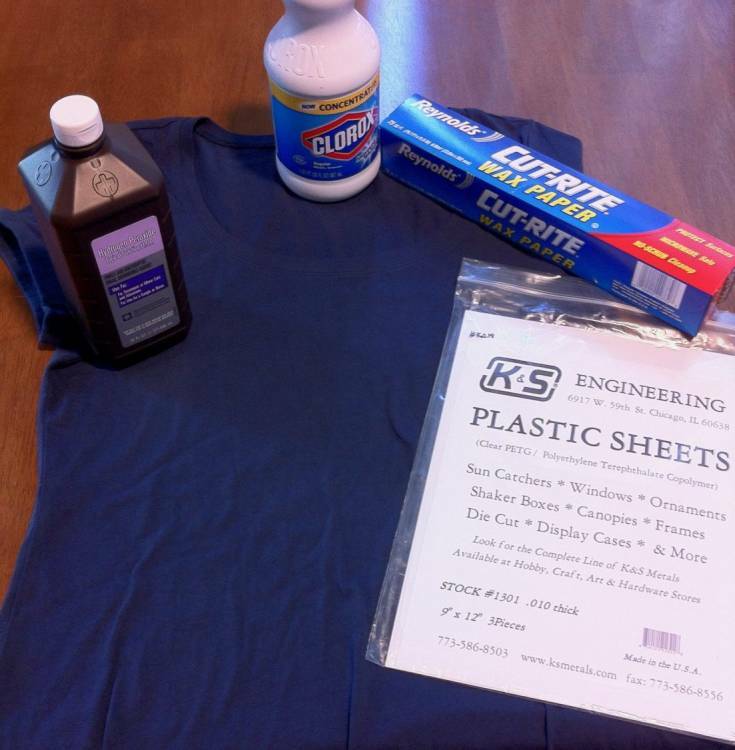 To fill the width, place two waxed paper sheets and adjust them to fit the shirt. Tape the sheets together and place them between the back and front layers of the materials. This can help you avoid the bleach to seep through the back side of the shirt. 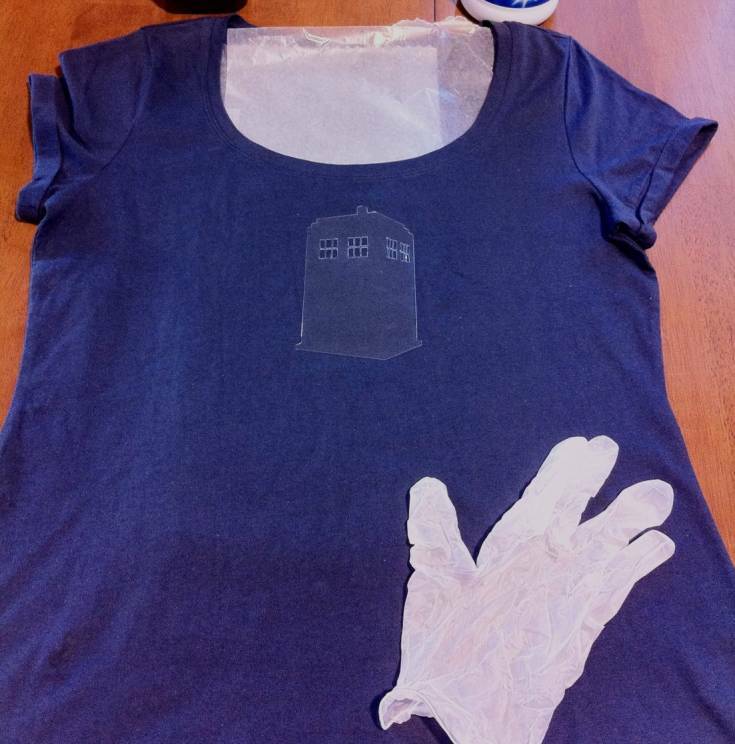 Once you create the plastic Tardis, apply it to the shirt with double-sided tape to close the edges, so that the bleach will not go below the silhouette. Remember, while flicking the bleach on the shirt with a toothbrush, you must flick off the bleach from the toothbrush before flicking it on the shirt. 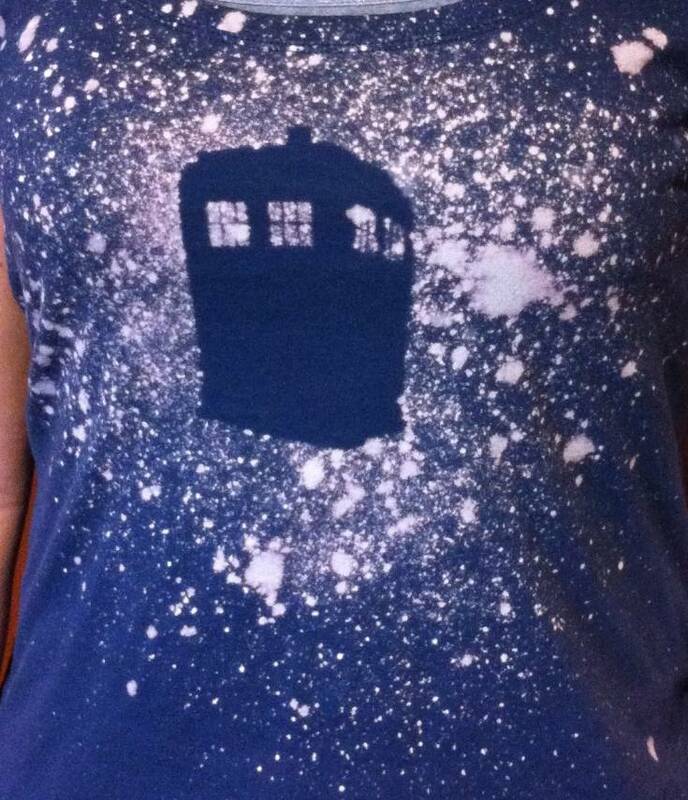 If you do not flick the bleach off, then you will get large blotches that make the shirt look ugly. Too much bleach causes big stars that are equal to disaster. Take out the stencil from inside the shirt and also remove the waxed paper, and now, rinse the shirt and take all the bleach out, rinse it for a couple of minutes. After the rinsing/bleaching process, mix the solution, take one cup of hydrogen peroxide and mix it in ten cups of water. Squeeze all the water from the shirt and put the hydrogen peroxide mixture on the bleached shirt so the entire bleach part gets neutralized. Squeeze it again and put it in the washing machine. You can wash it in hot setting and use regular detergent; you can as well dry it in the dryer at permanent press setting. This project gives you complete satisfaction and it does not take a lot of time, but it is a bit long process. 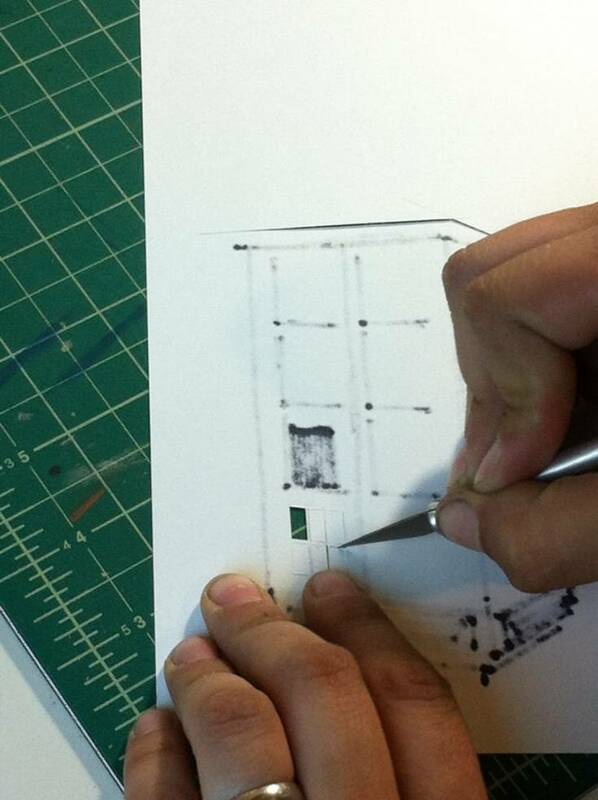 The bleaching process also takes less time, but again it depends on the pattern and the spatters depth. Sometimes the quick process can help you decide which parts need more bleach.